Slovenia has some of the best wines in the world (you’ll have to trust me on that, because it’s hard to find them in the UK). Not only that, but it has delicious food, incredible scenery, loads of outdoor activities, and it’s over 60% forest. What’s not to love? In 2012, Maribor – Slovenia’s second largest city – was awarded European Capital of Culture status. But this was just a nod in the direction of an already vibrant region – one that has festivals, street parties and more adventures than you can shake a stick at. 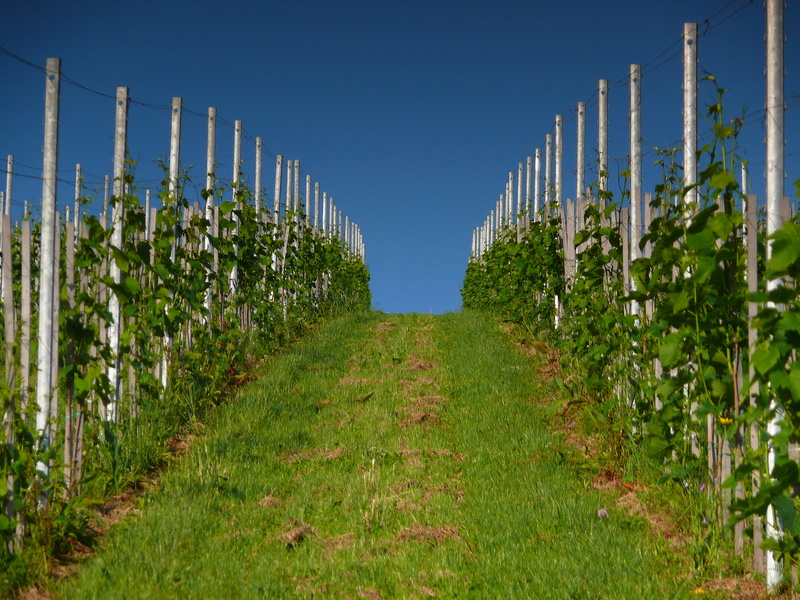 It also boasts the oldest grape vine in the world – Old Vine. 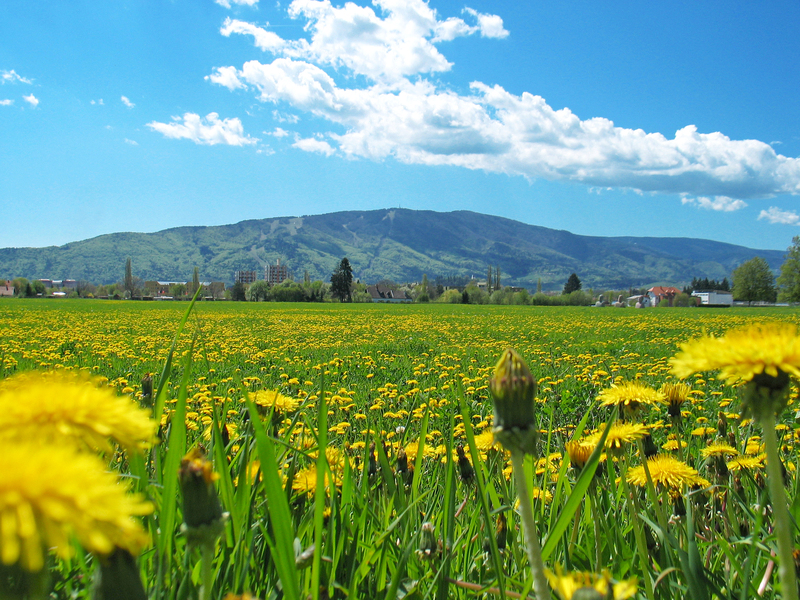 Maribor has an enviable location for a small town, surrounded by beautiful countryside, mountains and vineyards. 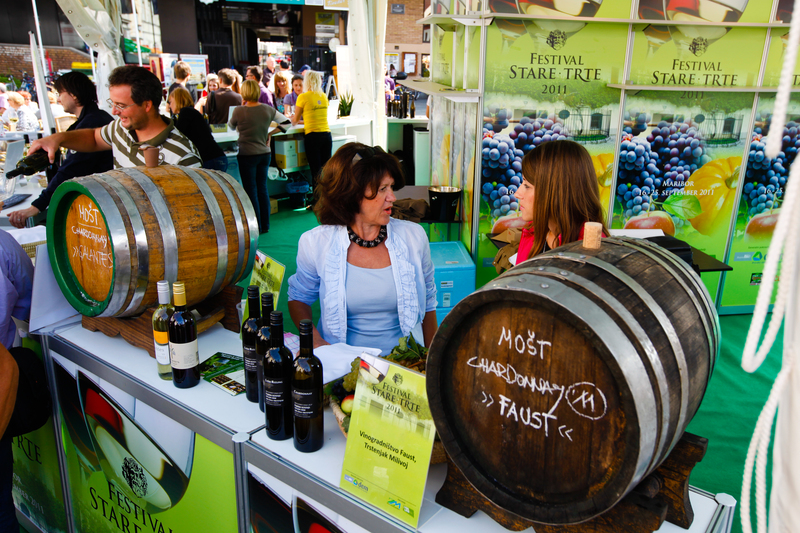 And autumn is the perfect time to visit – sunshine, blue skies, harvest season, and, did I mention wine? I travelled with Sîan Lewis – author of the brilliant The Girl Outdoors blog. 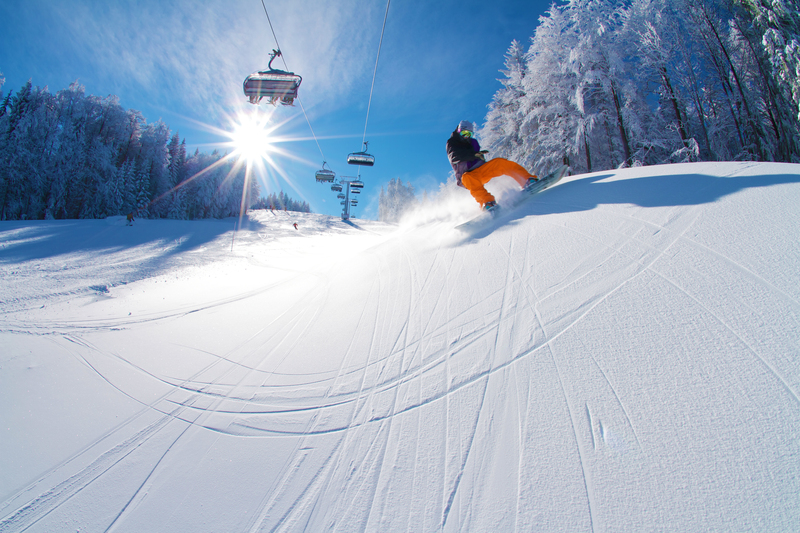 Our hotel – the four-star Habakuk Wellness Hotel – is located just outside the town, at the base of forested Pohorje mountain – home of the world-famous Golden Fox ladies skiing competition. It has an extensive thermal spa, with indoor and outdoor pools, as well as saunas and a steam room and a range of wellness offerings. Even in the autumn, laying outside in the mountain-fresh air, with views of the forests, it feels so darn good to be here. From the hotel, it’s a short hop on a gondola to the top of the mountain, from where you can hike, mountain bike or ski your way down. 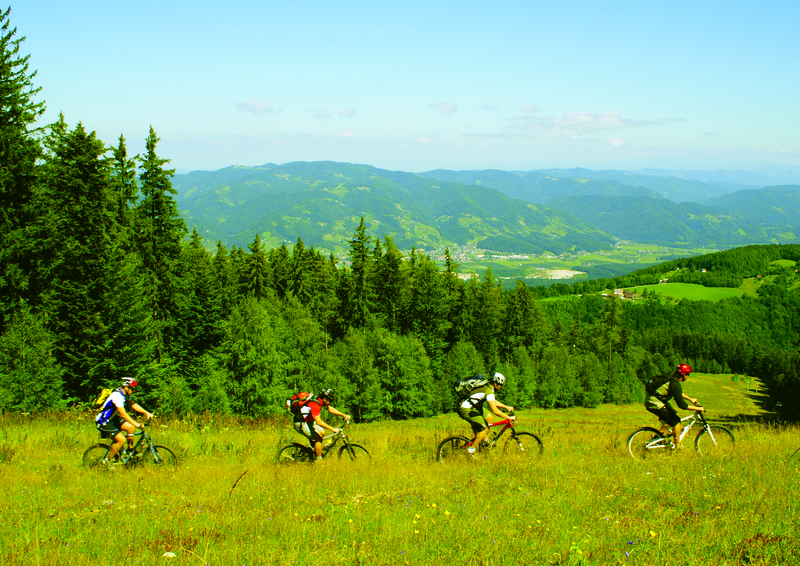 We opted for mountain bikes, and pedalled our way up to a local koča (hut) for lunch. Slovenia does mountain food like no-one else, so I was in heaven tucking into homemade mushroom soup with buckwheat, then Pohorje cheesecake, all washed down with three glasses of borovničke (blueberry brandy), with real blueberries at the bottom. This was 11am. Blueberries grow everywhere up here. And although the picking season is now over, there’s always something to find in the forest. We met a family out foraging for mushrooms, and they had already collected quite a bounty. Back at the hotel, we soaked our limbs in the hotel’s thermal waters, then had a full-body massage in the spa. My therapist – a lovely lady called Claudia – made me feel so relaxed I fell asleep in the reception area afterwards. I heard her say to her next client, “See? This is what my clients look like after!” I’m not sure if I was a good advertisement or not. Just outside Maribor is the amazing Drava Center, located on the Drava river. Slovenes are really into their outdoor activities – and rightly so. Kayaking and stand-up paddle-boarding are just some of the many things you can do on the Drava. The following day, we hired kayaks and paddled up the river exploring the inlets (called Amazon) along the way. I lay back on my kayak, soaking up the midday sun then picked blackberries from the hedgerow while swans glided past. If I hadn’t been there myself, I’d think I was making this up too. But this is what is normal in Slovenia. The Drava Center also has a cafe and restaurant, overlooking the river, with excellent food and wine. We stopped in for lunch after our kayaking trip, and were served by a Canadian lady, who had met her Slovenian husband in a mountain hut in New Zealand and moved here to be with him. Half an hour from Maribor by car is the medieval city of Ptuj – the oldest city in Slovenia, famous for its hilltop 12th-century castle and extensive spa hotel. An idyllic red-roofed city fans out below the castle down the hillside, and in town, cafes spill out onto manicured squares. 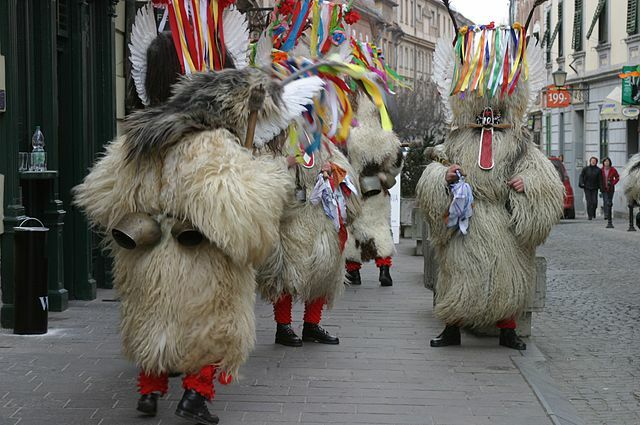 Ptuj hosts a Slavic pagan carnival each spring, where the local men dress up in hairy costumes with intimidating masks called korent, all of which makes them look a bit like oversized Wombles wearing cow bells. In summer, Ptuj hosts a wine and poetry festival, and even today, verses can be seen on pavements and walls. There’s even a public book-swap booth on the street. 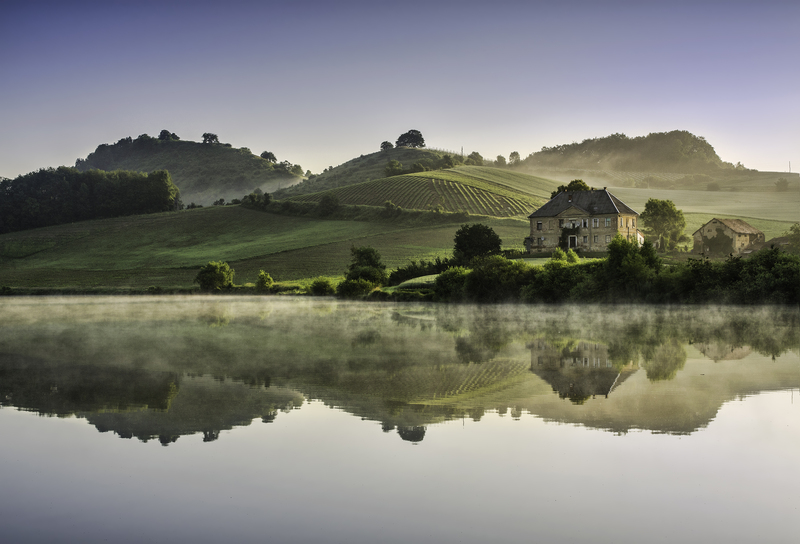 The Grand Hotel Primus – is a 10-minute cycle ride out of town, and is a good base for exploring the area. Because wine and cycling are so popular here, an innovative company called Kulebike has come up with the genius idea of linking the two together, around the nearby vineyards. E-bikes are great because they make tackling hills a doddle, and after a few glasses of wine, who is not in need of a little assistance? We stopped in at family farm Mulec, which produces some of the finest wines in the region. As it’s currently harvest season, we had a go at picking some grapes. The owner, Gregor, said he wants to keep his business small and sustainable. “I want to sell direct to my customers and get to know them,” he told me as I sipped delicious muskat and sampled his homemade sour cherry jam. “I have a German family who come here each year and they love to go out picking.” I can see why. It’s a very meditative process. Maribor – you have me sold. Details: Habakuk Wellness Hotel often has special deals. These rates are provided by Booking.com but you can also book direct with the hotel through this link. Kulebike runs day tours from 25 euros a day (http://www.kulebike.si/). Adria Airlines now flies direct from London to Maribor. Slovenes do love their soup, as do I. The use of wild plants is very popular in their traditional cuisine. Walking in the countryside and gathering foods to prepare various dishes is a common leisure activity. As early as March, the scent of wild garlic permeates the forest floor. Here is a traditional Slovenian recipe for you to try at home. Peel the potatoes and chop into cubes. Chop the onions and sauté with the potatoes in butter. At the stock or water and boil until tender. Add the chopped and blanched wild garlic and boil for another 5 mins, then blend in a food processor. Season with salt, pepper and nutmeg to taste. 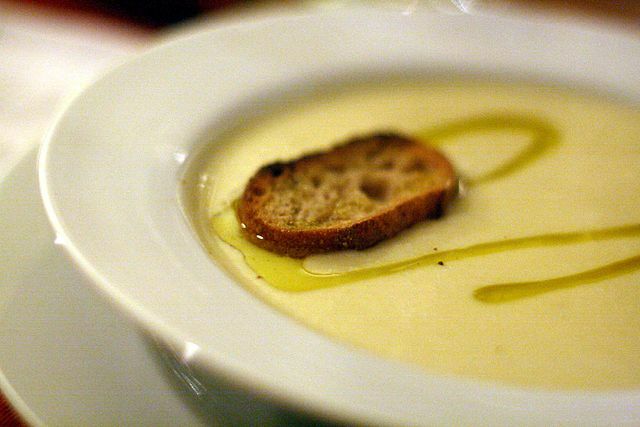 Serve with cream or a drizzle of olive oil and crusty bread. A good wine pairing is a dry or semi-dry Welschriesling, maybe even a gentle Sauvignon with green notes. I’ve also stayed at the Hotel Habakuk and enjoyed looking around Maribor. Your post is a good source of information about the region. Thanks, Stuart. I’m glad you enjoyed Maribor as much as I did!